Around 4.5 million people live in New Zealand. To put that into perspective, in the UK around 8.5 million people live in London alone. Which means New Zealand has a lot of empty, open space and, even more importantly, that open space is really quite beautiful. A simple equation tells us that not many-people + beautiful open space = perfect hiking opportunities. Throw the fact that Kiwi land is peppered with breathtaking lakes, out of this world mountains and some wonderful coastlines, and there’s really no reason why you’d want to explore any other way than on foot. Pushed for time? Take a look at the Routeburn Track. With treks ranging in length, from half-day to 3 days, it won’t put a big dent in your trip, and what it lacks in duration it makes up for in scope. Gigantic mountains, huge valleys, gushing waterfalls and glistening lakes are the order of the day on this route, which spans two of New Zealand’s national parks in the South Island. Climb to the top of the Harris Saddle, the highest point of the trek, for some 360 degree panoramic views. Surely views like this are the reason that hikes were invented. It’s billed as New Zealand’s most famous walk, and it’s easy to see why the travellers have been walking the Milford Track for decades.This 5-day trek through the South Island’s Fiordland National Park will have you ambling over suspension bridges and zig-zagging along mountain passes, past New Zealand’s tallest waterfall, Sutherland Falls. Happily, the destination is just as rewarding as the journey – you’ll finish your trek at the almighty Milford Sound, the country’s famous fiord. It’s allegedly the wettest place in New Zealand, but don’t let that put you off; many claim that when it rains and the water creates temporary waterfalls cascading down the mountains. 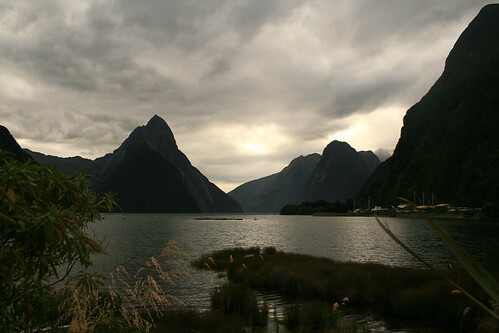 If you’re pushed for time “compromise” with a full day tour of Milford Sound itself. Had your fill of greenery? Then it’s time to hit the ice. Easily accessible from Christchurch, the Franz Josef and Fox Glaciers will take your breath away. Grab your ice pick and crampons (those spiky things that slip onto the bottom of your hiking boots), and join a tour that will have you scaling ice walls and sliding through ice tunnels. Round it all off by chilling out (or warming up) in the Hot Pools. You can take on the glaciers on loads of our adventure tours. It’s known as the best one day trek in New Zealand, and the Tongariro Alpine Crossing in the North Island definitely lives up to the hype. 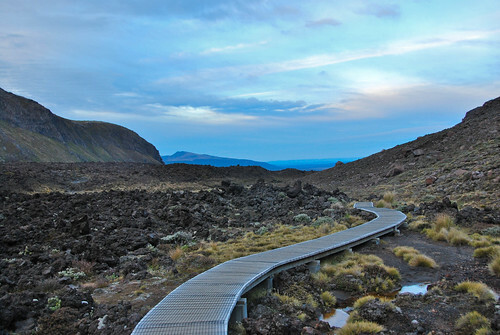 This hike will take you across a remarkable volcanic landscape. It’s not for the feint hearted, but the steep climb to Mangatepopo Saddle will all be worth it when you’re rewarded with some stunning panoramic views. 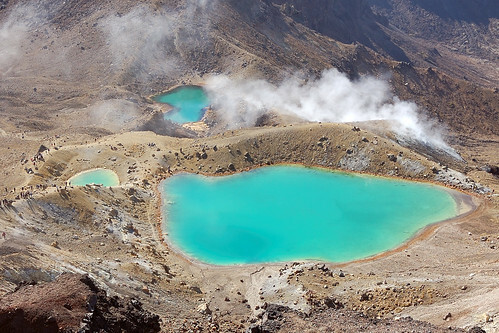 The stench of sulphur reminds you that the volcano is still very much active, but the sight of the Emerald Lakes should take your mind off the smell. These water-filled craters are a mystical green colour, and will take your breath away. Still got some energy left? Then take on the 3-hour climb of Mount Ngauruhoe – aka Mount Doom. Feeling inspired to hit the hiking tracks? Check out our great flights to New Zealand and get your Kiwi on..